Martha Anna King, 89, formerly of North Miami Beach, Florida, and retired in Espyville, passed away on Monday, February 4, 2019, at Rolling Fields in Conneautville, where she had resided the last three years. Born October 4, 1929, she was the daughter of George and Daisy Minium Kepler. She married Victor James King on August 20, 1949, at St. Agatha’s Church in Meadville. He preceded her in death on October 26, 2017. She graduated from Meadville High School. She was a loving and devoted homemaker. Martha was a member of the Linesville First Baptist Church. She had a great love for the Lord, read her bible daily and shared her faith with everyone she met. In her spare time, she enjoyed traveling with her husband. Martha cherished spending time with her family and friends. Survivors include 11 children, Marietta White and her husband, David, of Espyville, William King and his wife, Marybeth, of Reno, Nevada, Kathleen Hitchcock and her husband, Tom, of Andover, Ohio, Patricia Holman and her husband, Tom, of Solon, Ohio, Barbara Bonville of Hohenwald, Tennessee, James King and his wife, Valerie, of Meadville, Richard King and his wife, Karen, of Jupiter, Florida, Martha Collins, and her husband, Chip, of Clermont, Florida, Joan Bell and her husband, Rob, of Clermont, Florida, Margaret Lenox and her husband, Kenny, of Vale, North Carolina, and Dottie Thomas and her husband, Bill, of Clermont, Florida; 36 grandchildren; 57 great-grandchildren; 9 great-great-grandchildren; many beloved nieces and nephews; and their church family at Linesville First Baptist. She was preceded in death by her parents, her husband, and 7 siblings. Calling hours will be on Friday from 1 to 3 p.m. at Royal-Coleman Funeral Home, 6028 U.S. Highway 6, Linesville. A funeral service will follow the calling hours at 3 p.m. at the funeral home with Pastor Terry Smith of the Linesville First Baptist Church officiating. Burial will be in Venango Cemetery at a later date. Memorial contributions may be made to the North Shenango Volunteer Fire Department, 2887 State Highway 285, Espyville, Pa 16424. The family would like to thank the caregivers at Rolling Fields for all their care and love they provided for Martha. 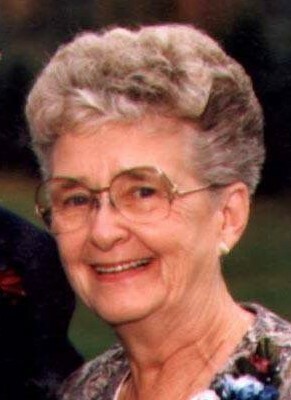 Please share a condolence or memory of Martha for the family at royalcolemanfuneralhome.com.